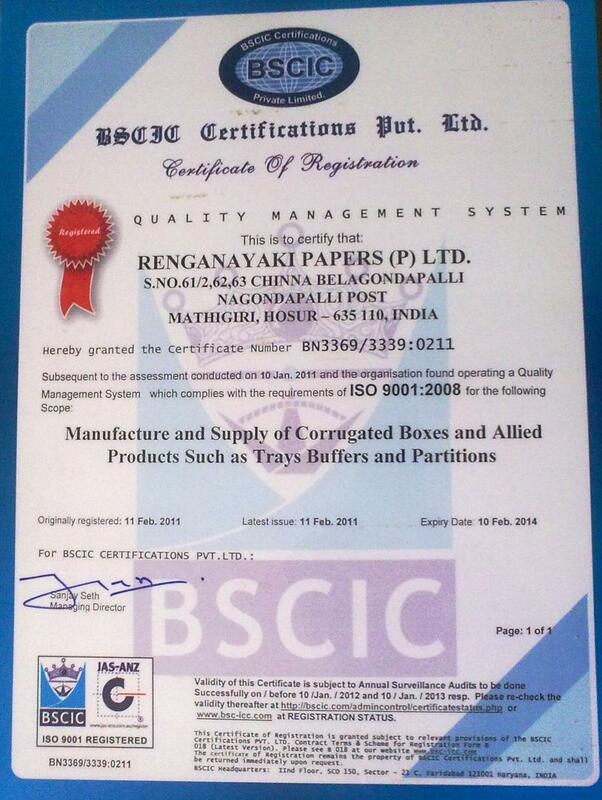 Bharath Packagings is ISO 9001:2000 for Manufacture of Corrugated Paperboard. Please feel free to call or mail us any time. Quality is our first step.